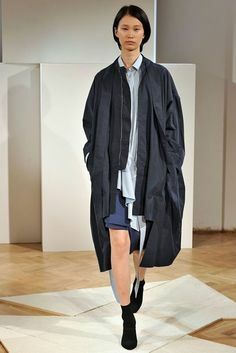 The utility trend was seen across several brands but was most prominent at Marni and at Stella McCartney. 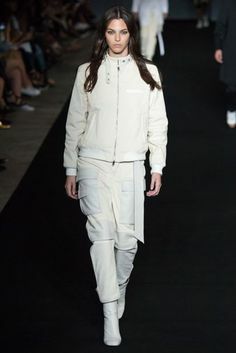 Modern utility was shown in a mix of whites, creams, pale blues, khakis: mostly in cottons and natural fabrics or sporty nylons, but this is definitely not a case of form over fashion. Big useful patch pockets were a key to this trend along with practical jackets like a windbreaker or a trench.